Knowledgeable parents and educators have long recognized that a well conceived garden program provides a wealth of educational opportunities. 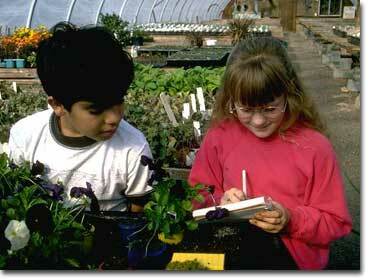 A garden has to be designed and laid out, providing a chance to utilize planning and math skills in a group setting. Soil preparation is an opportunity to learn about the importance of soil organic matter, earthworms and general soil ecology. Plant selection and placement require research and more math. As the plants grow, students will have to determine the most efficient way to irrigate and control weeds. A school garden also makes for a perfect connection to teach nutrition, health and sustainability. Sonoma Compost is pleased to donate compost for school garden projects in Sonoma County only and that are part of the school curriculum and which directly involve students. Because of the number of donation requests we receive, we've found it necessary to develop a donation policy outlining the criteria for receiving donated materials and the simple process required to make your request. Please contact us by phone or e-mail for a copy of our donation policy or download here. When the garden begins to produce, students are rewarded for their hard work in ways that often leave lasting impressions. 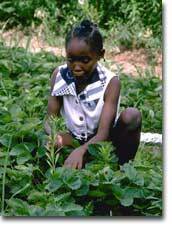 In some cases, a portion of the garden crop is donated to a local food bank or other worthwhile agency. Some schools use their harvest in their cafeteria. Others encourage students to share their bounty with family and friends. The common thread that runs through these programs is the joy children derive from sharing their harvest with others. It's known that students involved in any campus project are more likely to have a caring attitude about their school. We know that when students work hard to plan and install a beautiful garden, they develop a sense of pride in their school surroundings that might not otherwise occur.